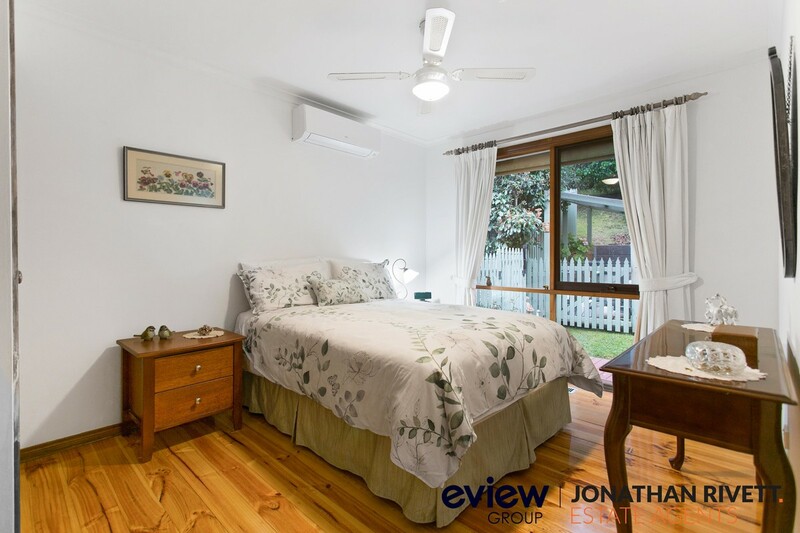 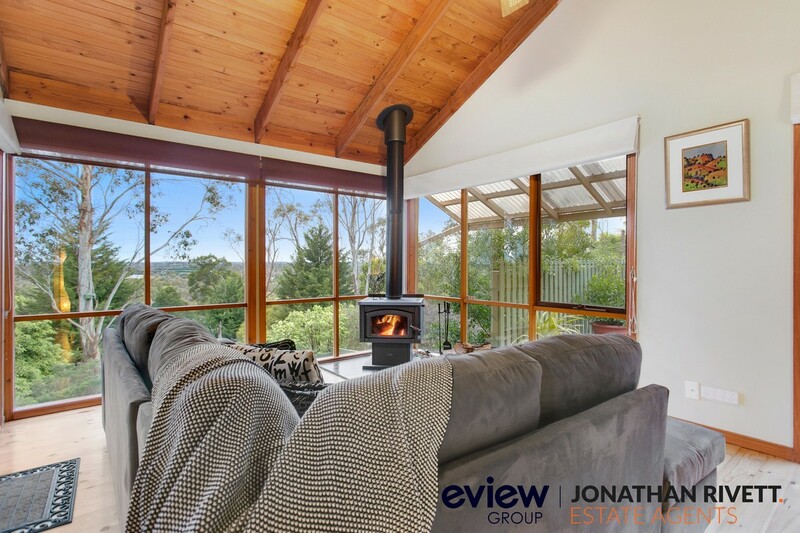 Perfectly located at almost the end of this super quiet cul de sac and on a generous (approx) 2329m2 block, this character-filled, cedar weatherboard home has a beautiful outlook from every window. 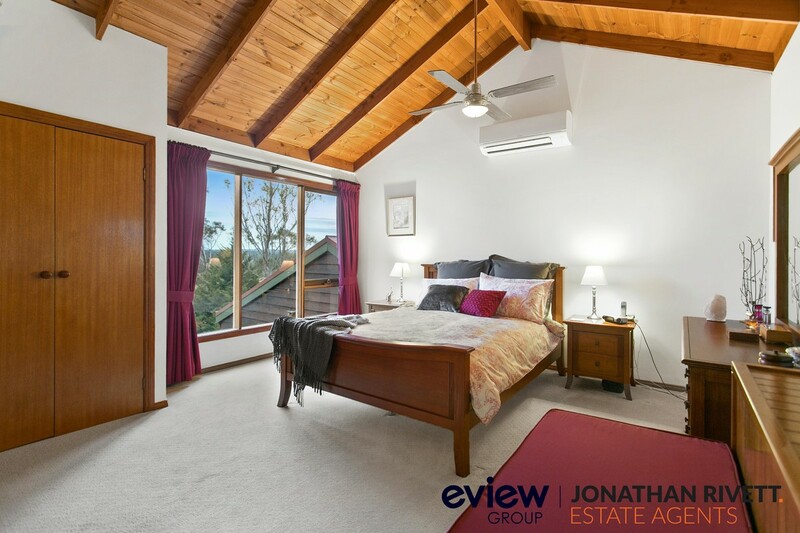 The main living areas and master bedroom look out across the Moorooduc Plains, but virtually every window either has the view or is filled with the leafy gardens that will give you a calming, relaxed sanctuary of your own to enjoy. 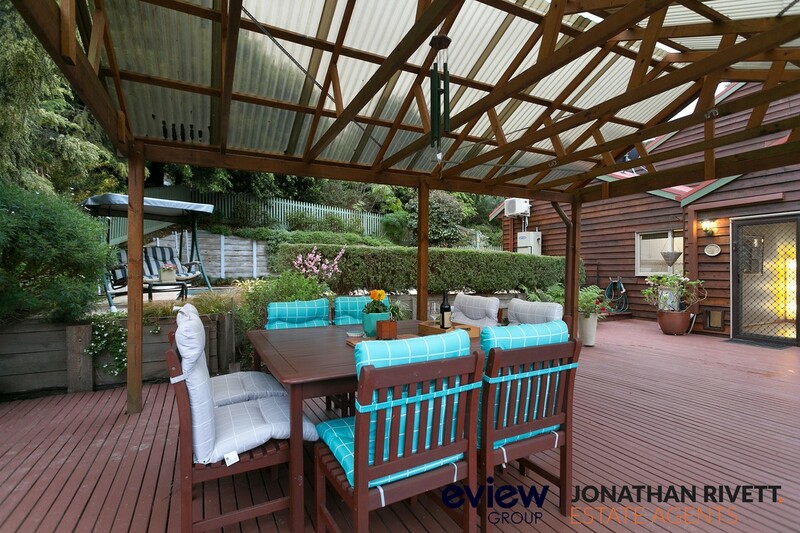 You can also share it with family and friends as there is plenty of accommodation, separate livings areas and lots of entertaining areas including a large decked area with pergola next to the solar heated swimming pool both making the most of the outlook. 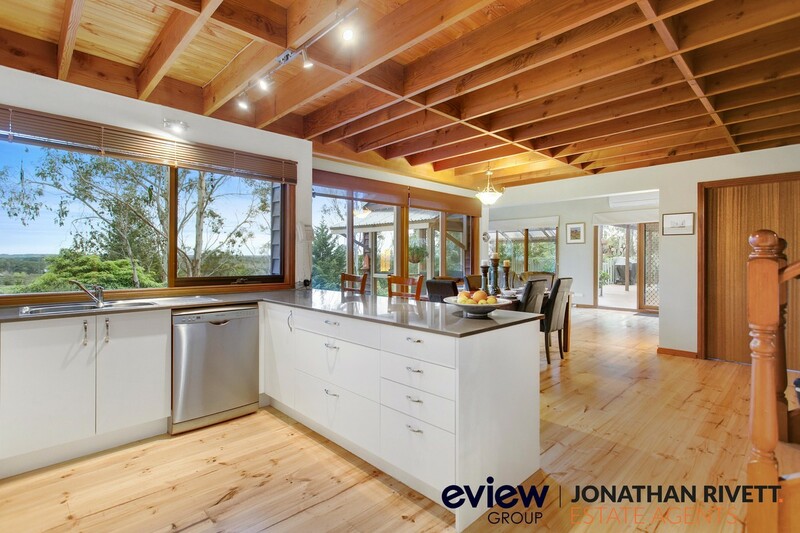 The entry hall leads you downstairs to a stunning light-filled open-plan kitchen, dining and living area where your eyes will automatically be drawn to the beautiful outlook through the floor to ceiling windows. 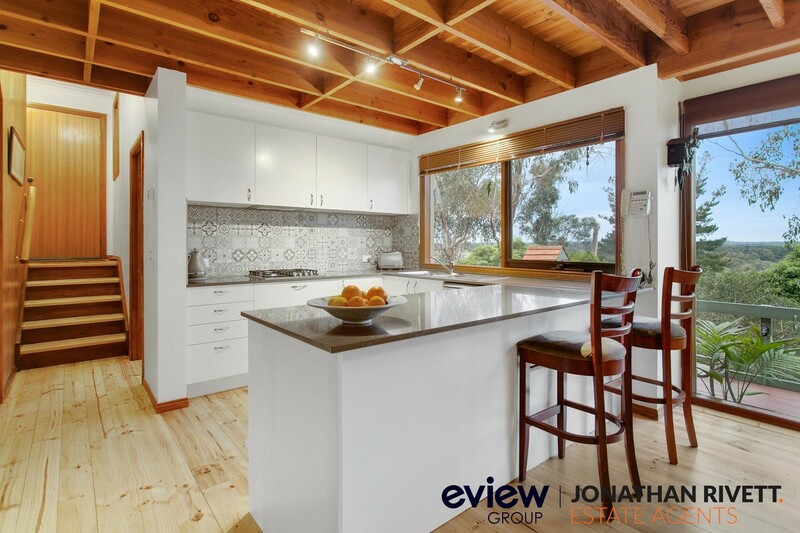 The recently renovated kitchen features high quality, stainless steel appliances including dishwasher, stone benchtop and feature tiled splashback and polished floorboards add to the character and warmth of the space. 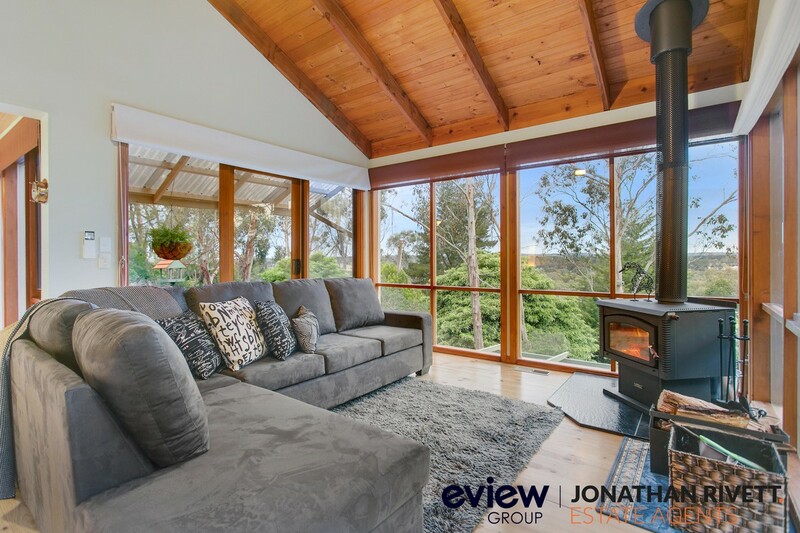 A coonara-style wood fire and split system air conditioner combine with gas ducted heating to ensure year round comfort. 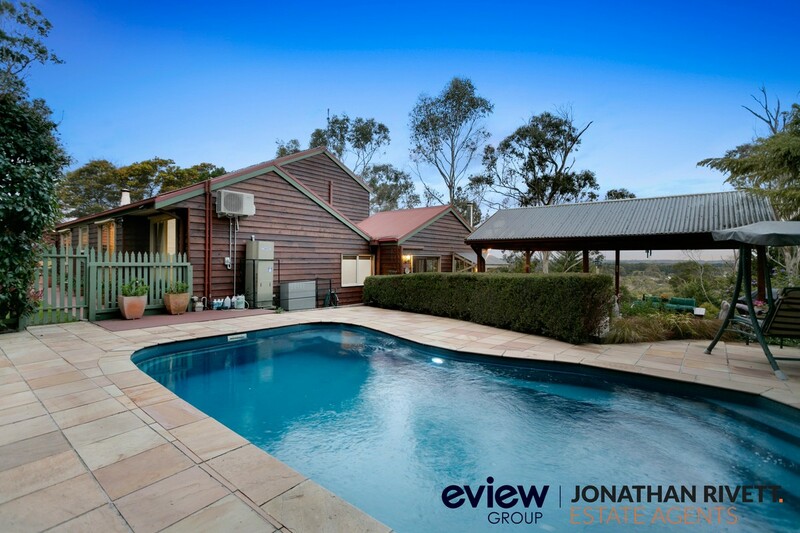 Sliding doors open onto both decking, pergola and pool area and the wide, decked balcony that overlooks the rear garden and Plains beyond. 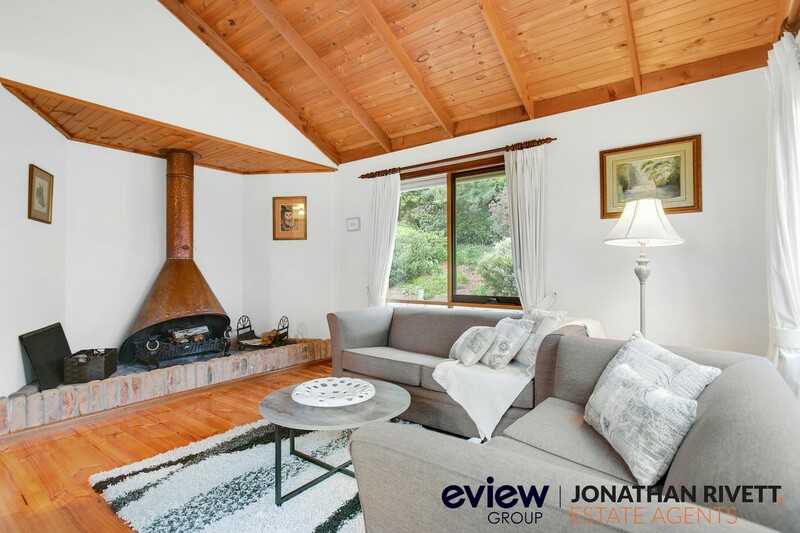 A second living area focuses on an open fire place complete with copper chimney. 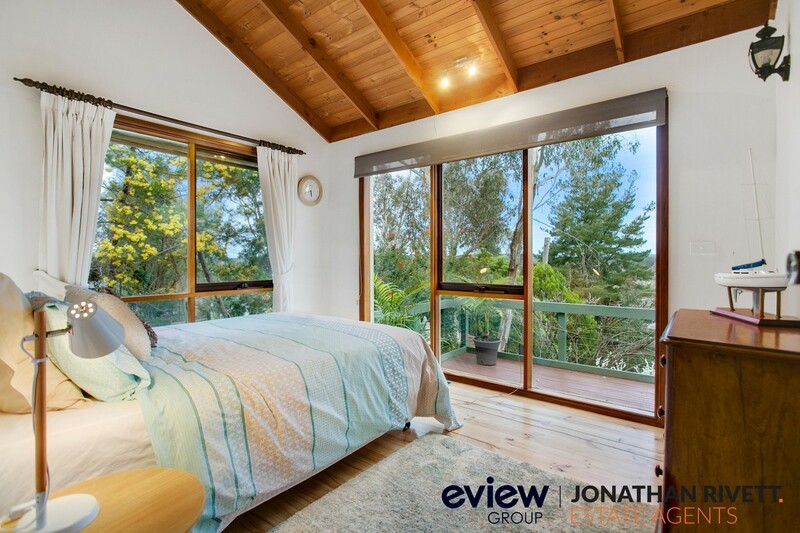 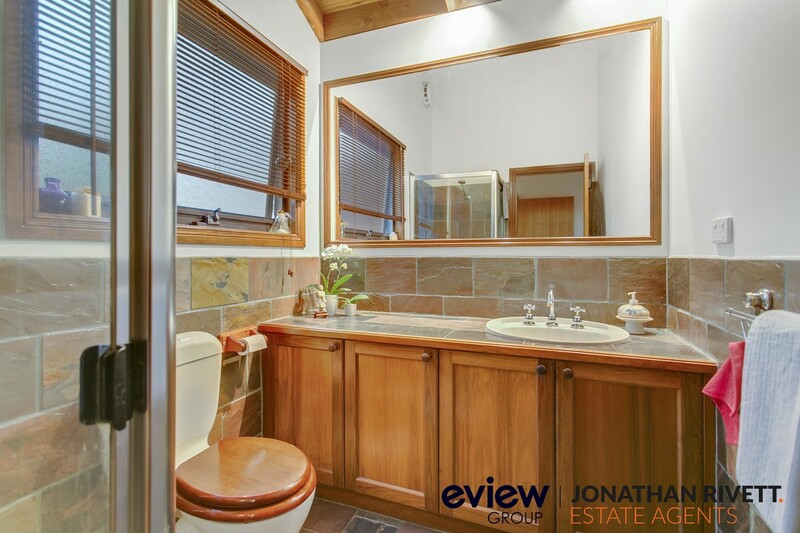 The Master Suite occupies the entire top floor and enjoys the best views from the whole property, complete with built in robes, ensuite, split system air conditioner and ceiling fan. 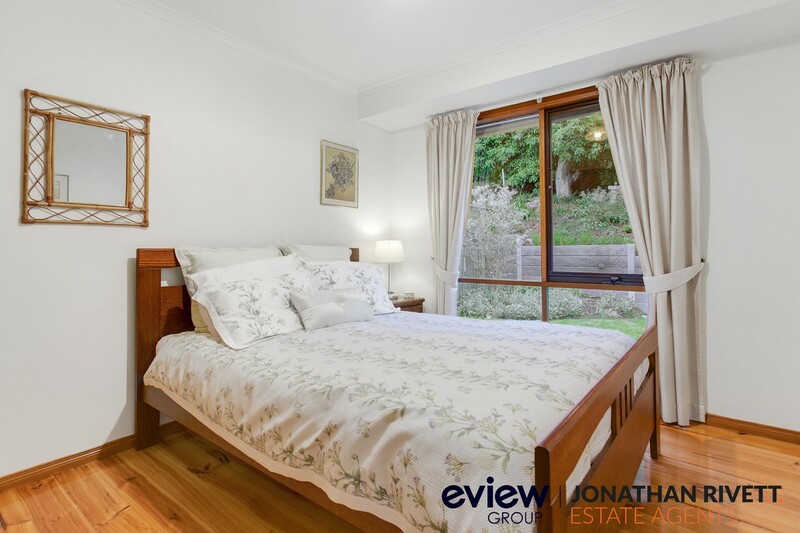 There are three further good size bedrooms plus a study. 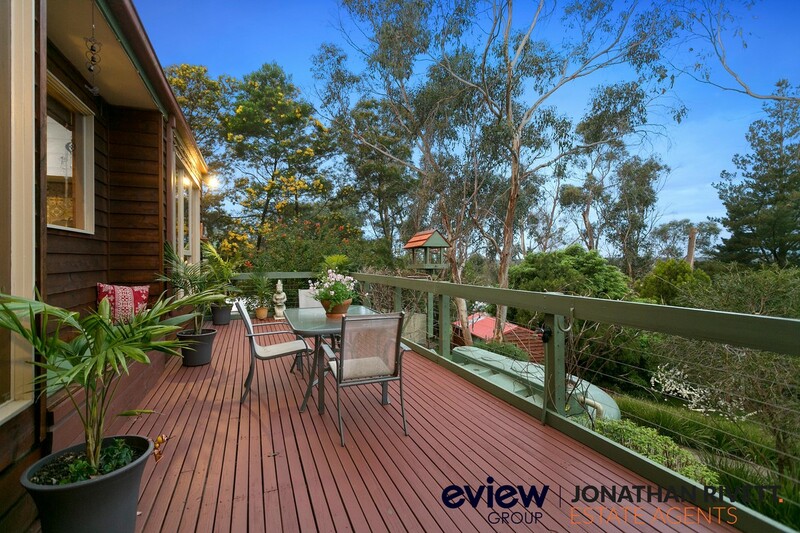 The extensive decking ensures not only room for entertaining, but also the perfect space for any time of day from a morning coffee and paper to evening drinks. 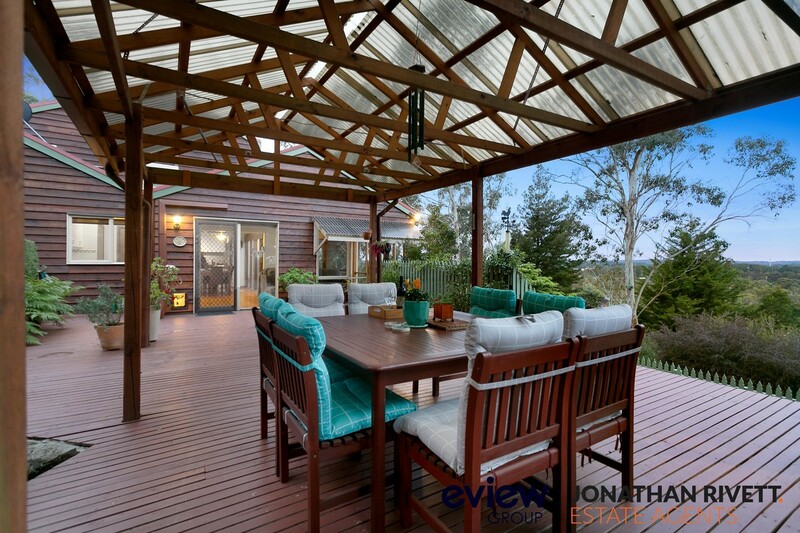 All enjoy peace and privacy surrounded by nature. 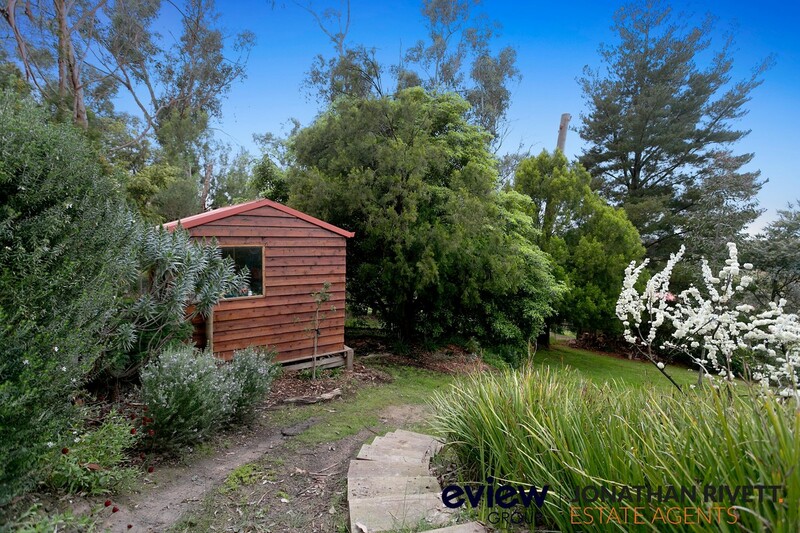 Winding pathways help you explore the garden the property also features water tanks, sheds and workshops and plenty of parking including a double carport. 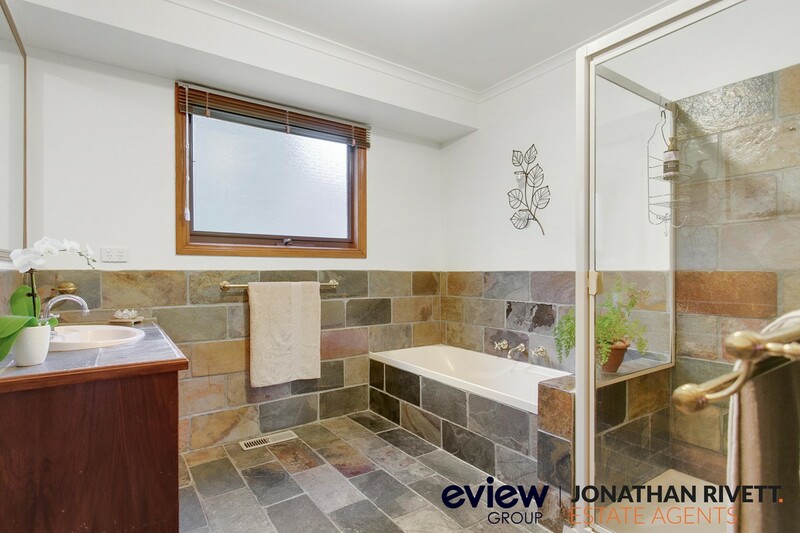 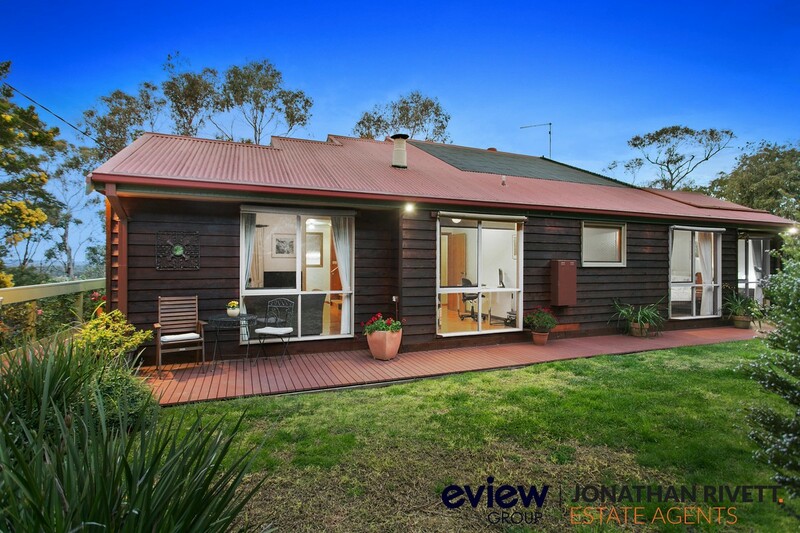 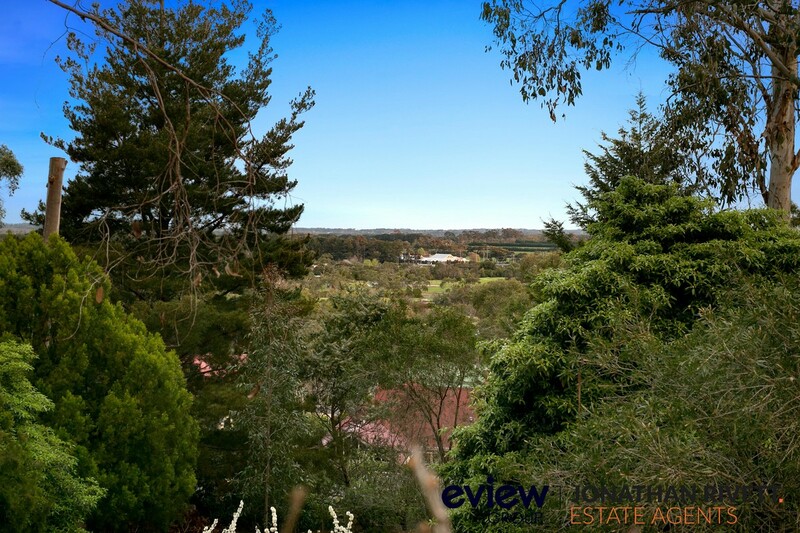 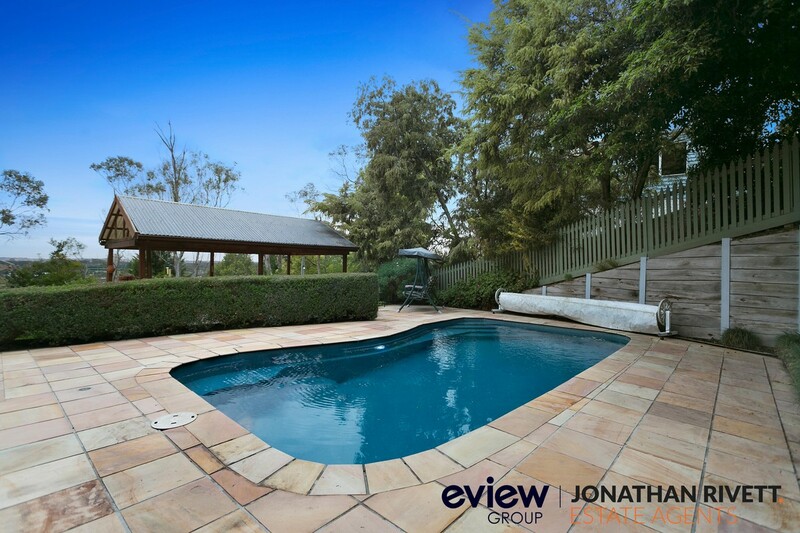 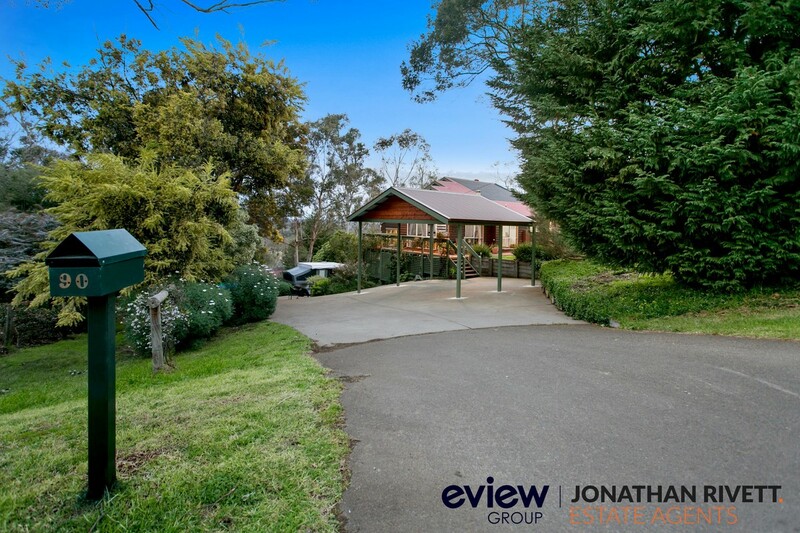 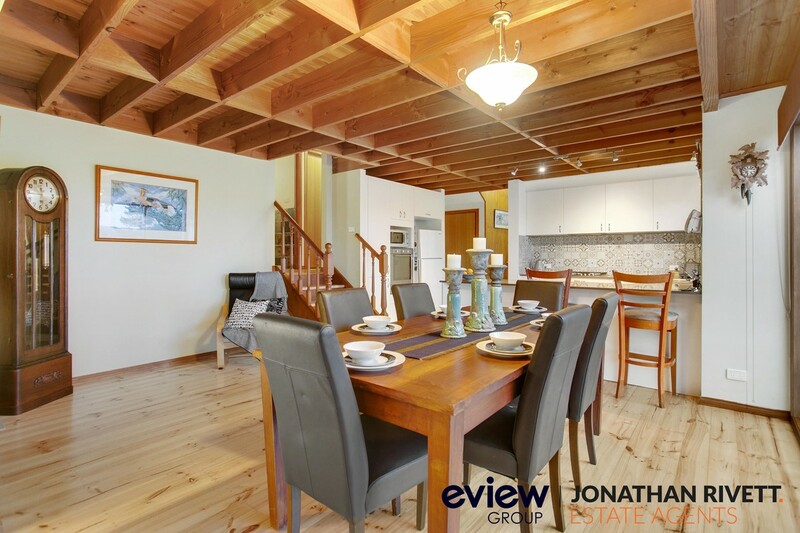 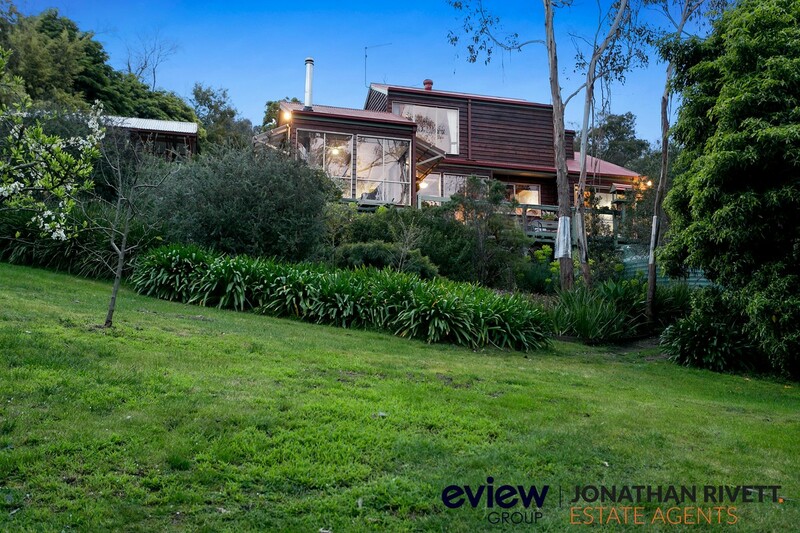 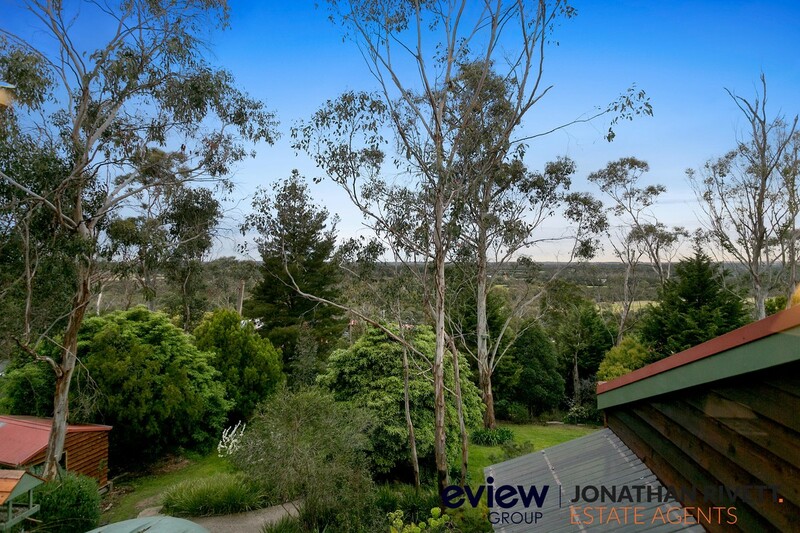 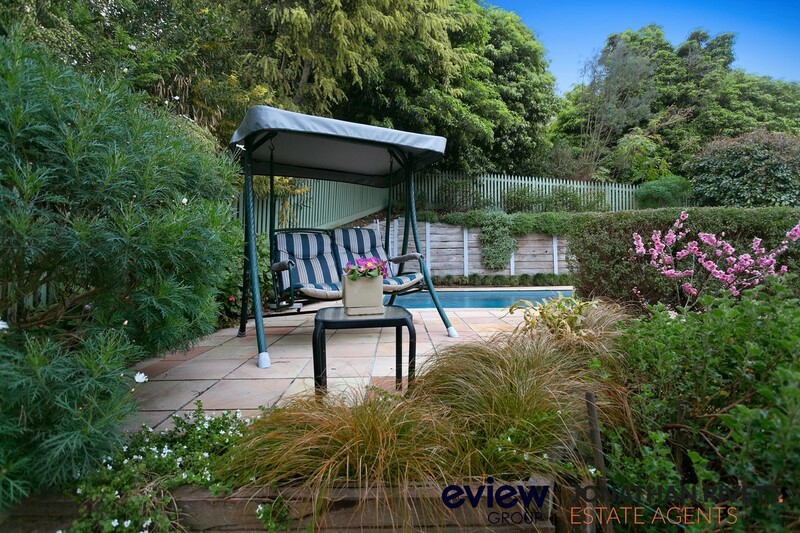 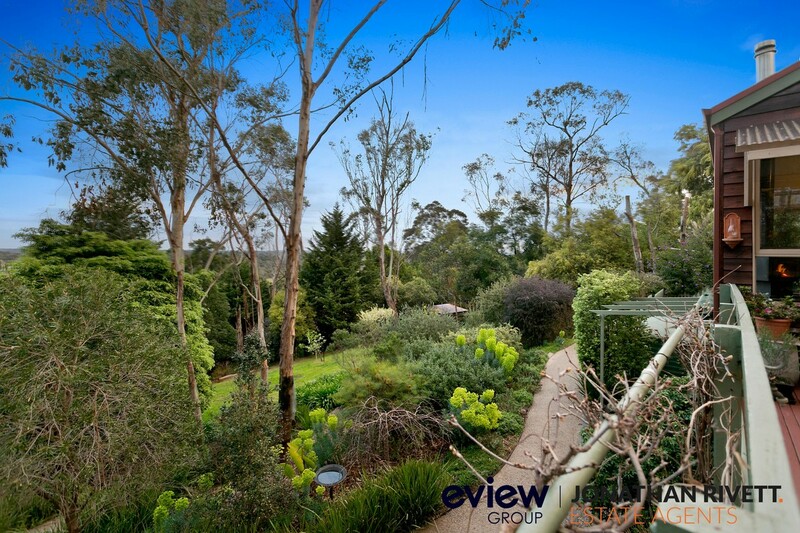 Surrounded by parks, including the wonderful Mt Eliza Regional Park, and close to numerous schools, shops, Mt Eliza Village and the Peninsula Link this property is close to everything but feels miles away.